You’ll hear me say this a lot. I’m not a breakfast person. I don’t normally get out of bed earlier enough to eat breakfast. It’s one of the nice things about being a freelancer. I don’t work everyday. That’s also one of the bad things about it. Anyway, in East Lansing. This time, very early in the morning. Work started at 6 AM on Sunday. Fortunately, I still had keys to my Lansing apartment, so I was not making the drive at four in the morning. That will happen a few times this fall/winter. Our lunch break came around nine o’clock. Typically, I just go to McDonald’s for breakfast. I like the bacon, egg, and sausage biscuit. Add that to the fact that it’s cheap and quick. When J could meet me, we’d actually go to a good, sit down place, but now that J’s in Kalamazoo, I’m on my own and there’s not a lot of quick breakfast choices. There just aren’t many places that do a good breakfast sandwich. So, I’m heading down Grand River towards my usual McDonald’s stop when I hear a commercial for Panera Bread’s breakfast. It sounds really good plus it will be something a little different. 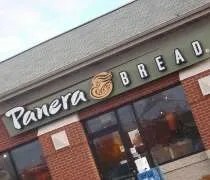 Since I’m already on Grand River I keep going to the Panera in Okemos. About a month ago, J decided she wanted a new car. We did the usual Internet research and found a couple cars she liked. The first car we test drove was at the Ford dealership in Okemos. We were kind of turned off by the salesman and didn’t feel like we were getting a fair price, so we left. She was mad at me for a few hours until she found something better in Owosso. The next morning, we make the trip, test drove the car and bought it. We were really looking for something comfortable for the honeymoon since we were going to be in the car for two week straight. We put pretty close to 2500 miles on it in a week and a half, so when we got home, it was time for an oil change. The dealer we bought it from gave us the first oil change free and any service it needed after the trip, so we really wanted to take it back there before we moved to Kalamazoo. After the service was done, J and I started to drive back towards Lansing to do some packing. Before we dove into that, we decided to get some breakfast/lunch. Ann Sather Restaurant on West Belmont in Chicago. Every wedding has to have a good story. When I was the best man in brother’s wedding, we went golfing at 6 AM before the ceremony. He damn near flipped a golf cart. The grass was still wet from the morning dew and he was going a little too fast looking for his bar. He slammed on the breaks and turned the wheel. He did a pretty good donut and got a couple wheels off the ground, but it stayed upright. For my wedding, my brother and I got the bright idea to run to Chicago’s Lakeview neighborhood to get cinnamon rolls for the morning. Not a bad idea…except rush hour had just begun. My mom called to see if they had any rolls left. The lady who answered the phone said they had three dozen left, but they were closing in 50 minutes so we had to get there before then. Sounded like a challenge that we were about to take. 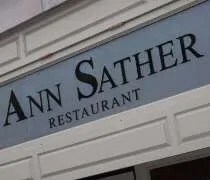 Ann Sather’s has four locations in Chicago. They’re a “Swedish” breakfast place. They also have pretty good cinnamon rolls. I don’t remember which show it was, but I saw it on the Food Network. The rolls looked good on TV, so I had no reason to assume they weren’t going to be good in person. Sophia's House of Pancakes just off M-43 in Grand Ledge. Ah….lazy Sunday’s. We didn’t have much to do other than grocery shop, so there wasn’t any hurry to get moving in the morning. We needed to make a trip to Walmart and Horrocks, so I thought it was time to finally try a place in Grand Ledge that has been recommended several times in the past. 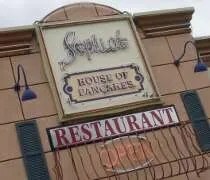 Sophia’s House of Pancakes is right on the edge of town if you’re coming from Lansing on M-43. Even though we didn’t get there until a little before one o’clock, the parking lot was packed. There was just one spot left which I beat another car to. I figured a packed parking lot at one o’clock was probably a pretty good sign. When we got inside, we found a short wait for a table. The entire restaurant was hopping. There was a group of seven waiting and another couple. The couple was seated first then we got the next smaller table that opened up. They had a lot of seating for two, but seating for large groups was limited which seemed weird to me at a place like this. Sophia’s is definitely one of those places you take the whole family after church. Jackie's Diner on Lansing Road in Dimondale. 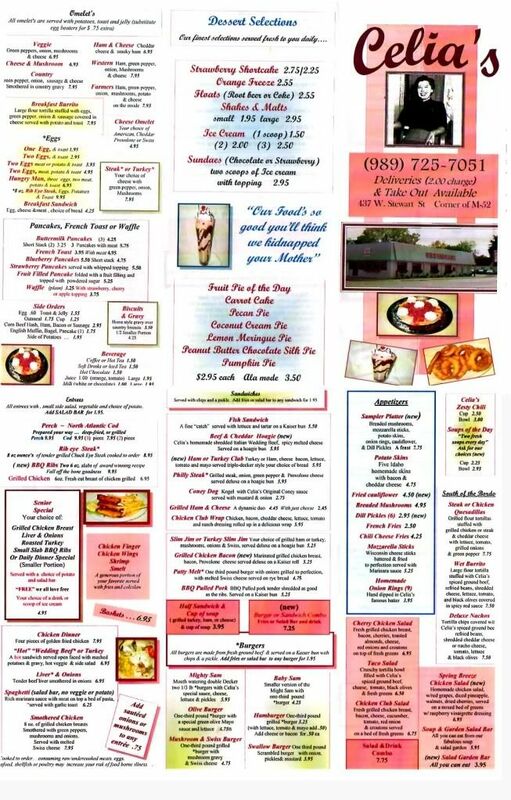 When J and I moved here, one of the first restaurant recommendations we got was for Don’s Windmill Truckstop in Dimondale. 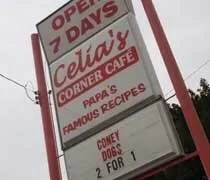 We ate there one weekend and enjoyed the classic diner setting. Don’s hit some hard times and the restaurant closed. In comes Jackie’s Diner. We’ve eaten at Jackie’s Diner on Pennsylvania and, again, enjoyed the greasy spoon diner aspect of the place. J and I were out in Delta Township and decided to check out the new place on the way home. 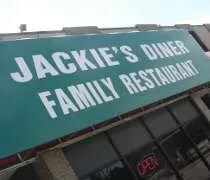 Jackie’s Diner is on Lansing Road in Dimondale in the old Don’s Windmill building. Not much, if anything, has changed other than the lack of gasoline sales. We entered the truck stop through the restaurant where we found a sign that told us to wait to be seated. A waitress took us to a booth near where the buffet is. She took drink orders right away as we looked over the huge menu. 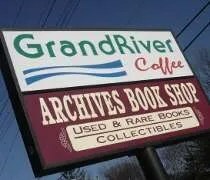 GrandRiver Coffee Cafe in East Lansing. I hate it when I have to work on four hours sleep. Hell, I was lucky if I got that Friday night. I worked in Ann Arbor and got home around 12:30 AM. Saturday morning, I had to be at MSU at 6:00 AM. By the time I had a quick meal and showered, it was closer to 1:30. That leaves just about four hours until I had to get up and get going. It was rough. Really rough, but at least everyone I worked with was in the same boat. We were all a little cranky Saturday morning. By the time lunch (actually breakfast) came around, I was really needing a Pepsi. I knew I didn’t want to go sit down somewhere and have a huge breakfast since that would just add to my sluggishness. I’m not much of a coffeehouse person, but I thought I would be able to get something light. I was just going to go to Biggby but on my way, I remembered a local coffeehouse just down the street. I drove by the Biggby and found my destination. OH! MY! GOD! 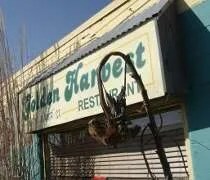 Why did it take me a year to find Golden Harvest? Why did no one twist my arm, grab me by the ear and drag me there? Seriously? J’s parents were still in town and they’re big breakfast people, so we decided to get up and go for breakfast. I think I remember someone suggesting it a long time ago, but we don’t usually get up for breakfast, so we never considered it. I was surfing the web looking for breakfast and found some pretty glowing reviews for the place. 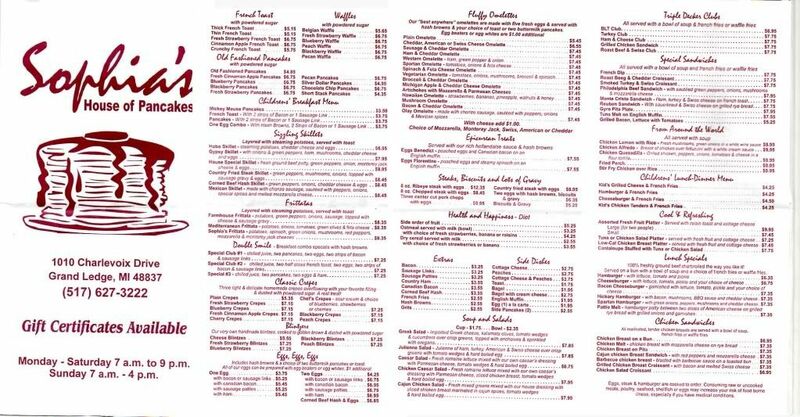 Golden Harvest is in Old Town on Turner Street. We found it was a little tough to find when going north due to the configuration of Larch Street right before you get to the restaurant. The GPS didn’t update fast enough and we missed a right turn, but went around the block and made it back. The building is very tiny and it sits right on the corner. When we pulled up, there was a line out the door. I got out to see how deep the line was. Since it was only two parties in front of us, we got in line and waited it out.